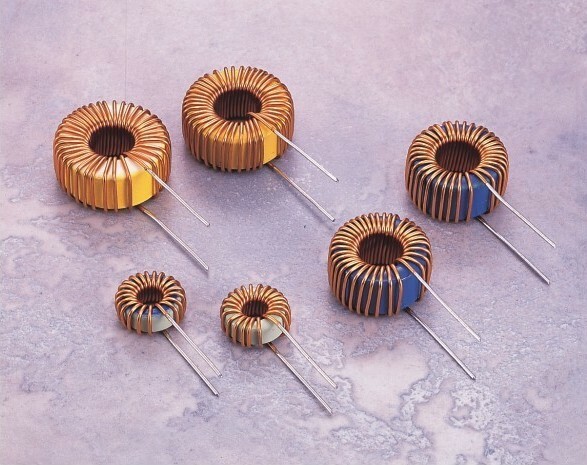 Inductors, coils and chokes are passive devices that are designed to resist changes in current and store energy in the form of a magnetic field. In their simplest form, inductors consist of a wire loop or coil. The inductance is directly proportional to the number of turns in the coil. Inductance also depends on the radius of the coil and on the type of material around which the coil is wound. We provide custom products manufactured to customer specifications. Generation of electrical power in low voltage level is very much cost effective. Theoretically, this low voltage level power can be transmitted to the receiving end.This low voltage power if transmitted results in greater line current which indeed causes more line losses. But if the voltage level of a power is increased, the current of the power is reduced which causes reduction in omit or I2R losses in the system, reduction in cross sectional area of the conductor i.e. reduction in capital cost of the system and it also improves the voltage regulation of the system. Because of these, low level power must be stepped up for efficient electrical power transmission. This is done by step up transformer at the sending side of the power system network. As this high voltage power may not be distributed to the consumers directly, this must be stepped down to the desired level at the receiving end with the help of step down transformer. Electrical power transformer thus plays a vital role in power transmission. Electrical Power Transformer, Distribution Transformer & Instrument Transformer - Power transformers are generally used in transmission network for stepping up or down the voltage level. It operates mainly during high or peak loads and has maximum efficiency at or near full load. Distribution transformer steps down the voltage for distribution purpose to domestic or commercial users. It has good voltage regulation and operates 24 hrs a day with maximum efficiency at 50% of full load. Instrument transformers include C.T & P.T which are used to reduce high voltages and current to lesser values which can be measured by conventional instruments. Two Winding Transformer & Auto Transformer - Former is generally used where ratio between high voltage and low voltage is greater than 2. It is cost effective to use later where the ratio between high voltage and low voltage is less than 2. Outdoor Transformer & Indoor Transformer - Transformers that are designed for installing at outdoor are outdoor transformers and transformers designed for installing at indoor are indoor transformers. Oil Cooled & Dry Type Transformer - In oil cooled transformer the cooling medium is transformer oil whereas the dry type transformer is air cooled. 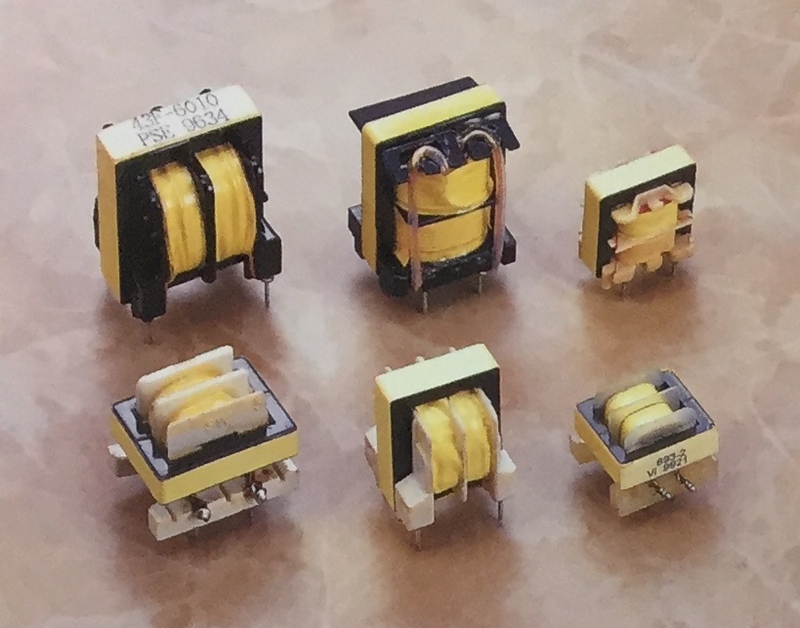 Core type, Shell type & Berry type transformer - In core type transformer it has two vertical legs or limbs with two horizontal sections named yoke. Core is rectangular in shape with a common magnetic circuit. Cylindrical coils (HV & LV) are placed on both the limbs. 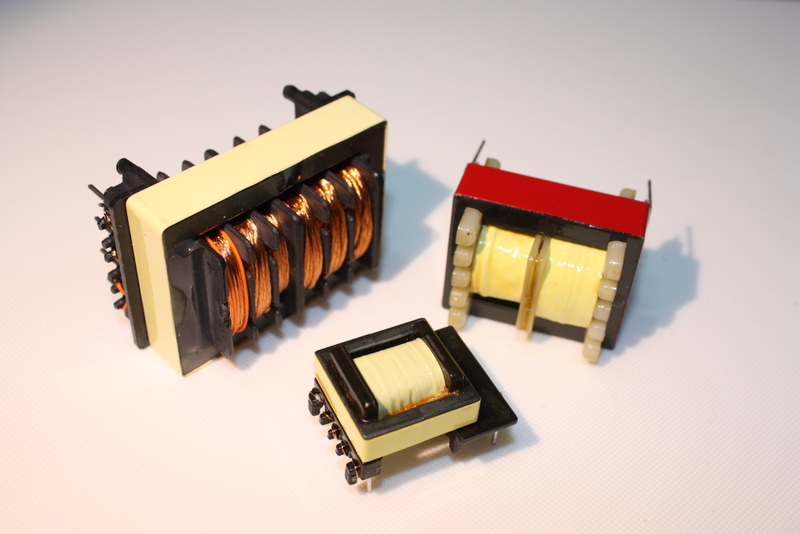 Shell type transformer: It has a central limb and two outer limbs. Both HV, LV coils are placed on the central limb. Double magnetic circuit is present. Berry type transformer: The core looks like spokes of wheels. Tightly fitted metal sheet tanks are used for housing this type of transformer with transformer oil filled inside. A choke coil is a part used in electrical circuits to allow DC current to flow through while blocking AC current from passing. 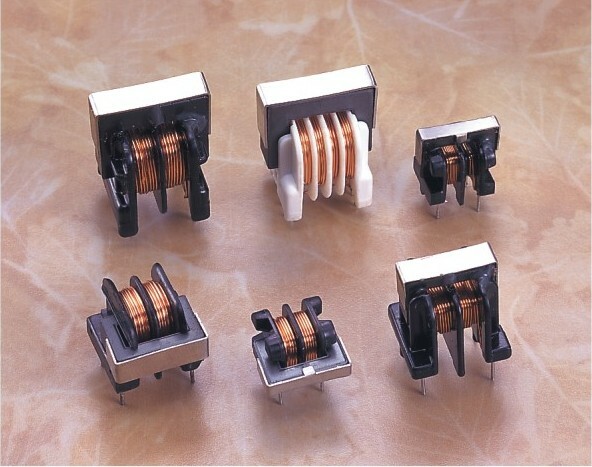 These coils are used in a number of electrical devices. When used as part of a radio’s circuitry, it falls into one of two frequency classes: audio or radio. Those used in circuits with higher frequencies use different core materials than those used in lower frequency circuits. PSE - Prisource is an international design, and engineering company, specializing in the manufacture of magnetics and lighting components. Established in 1994, Prisource now has sales offices in Taiwan & Japan and two manufacturing plants in China and Combodia with a combined workforce of more than 700, fully equipped 15,000 sq meter facilities giving us a production capacity of 5KK pieces per month to support all kinds of production processes. The international household names we supply are well known for their attention to detail and quality. We have made it our mission to assure our customers of the best quality of manufacture combined with personal service. Electrical Power Transformer Manufacturer.Choke Coil Supplier. 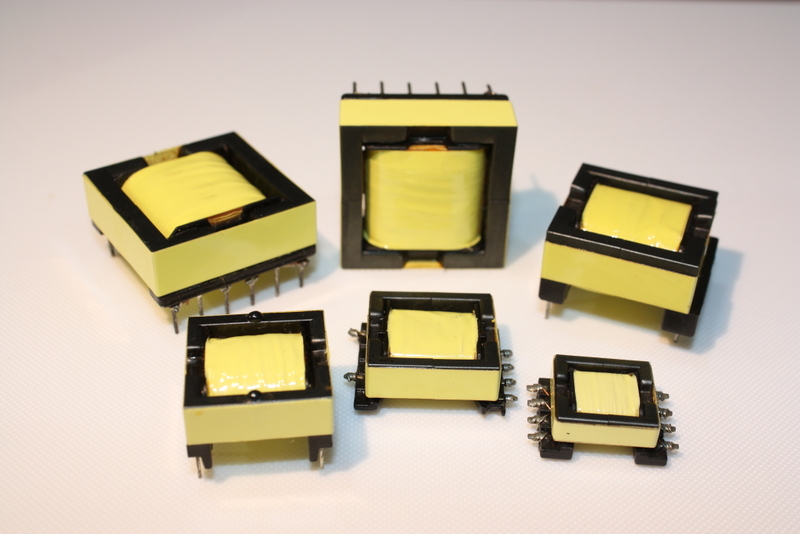 We provide reliable, energy-efficient design to meet energy efficiency requirements and specialize in supplying low voltage,high frequency electric transformers. Offering a wide range of common mode choke, choke coil design. What is the use of common mode choke coils? During the process of sending a signal through a circuit, the idea is to let the desired signal go through while filtering out other, unwanted signals. One type of unwanted signal is common-mode noise, which is filtered out by a common-mode choke coil. Power lines are an example of a source of common-mode noise. Without a coil, the power line would create a lot of electrical noise as it travels to its destination, which would then be received on the other end and possibly cause interference with the signal. The choke coil works because it acts as an inductor. When the current passing through changes, as AC currents do, it typically creates a magnetic field in the coil that works against that current. This property, known as inductance, blocks most of the AC current from passing through. As a result, currents that do not change, such as DC currents, can continue through while those that do are blocked by the very magnetic field they created. At the core of this part is a material used to produce its magnetic field. 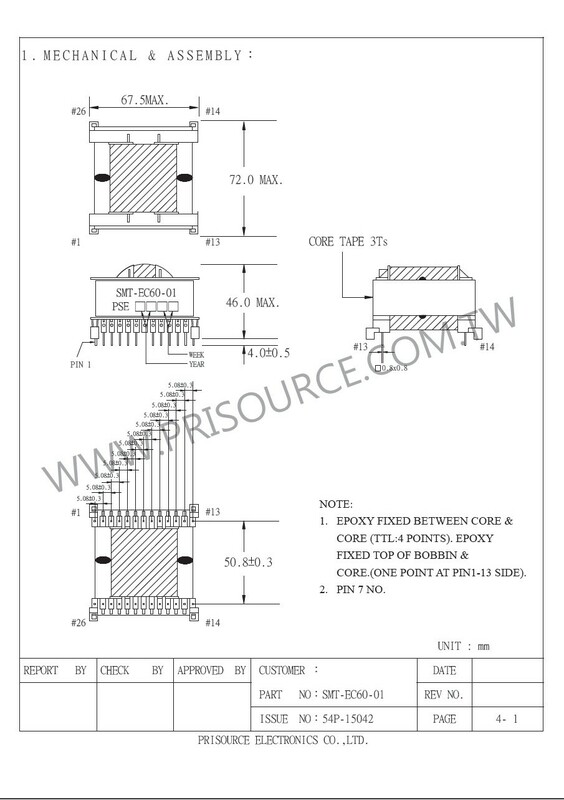 Coils used to filter higher frequencies may use an air-core or a ferrite core, while lower frequency coils may use an iron core. The material in the core determines the strength of the magnetic field and the inductance rate of the coil. Inductors are similar to capacitors, with one key difference in how they work. Both store electrical charges that pass through them, but capacitors store the charge inside an insulator located between two conductors on the capacitor. A choke coil stores the electric charge in the magnetic field created around it instead of on any specific part of the coil itself. Both parts are used in electronic circuitry, but capacitors typically store electric charges while these coils filter them. How to choose choke coil? When choosing the best type to use in a circuit, the engineer will look at the voltage, the DC resistance of the coil, and the level of inductance. These factors determine which coil will most efficiently pass through the correct currents while blocking the unwanted ones. The frequency to be passed through determines the best types to use. Common mode chokes are used in order to filter common mode electromagnetic interference (EMI) currents without de-rating under high currents and without causing signal degradation. Common mode chokes are applied to supply and return pairs of conductors and are ideal for EMI filtering of signal and power lines. Common mode chokes can withstand high DC currents without filtering performance degradation, which is an issue that can happen with differential mode filters such as small chip beads. There are many different kinds of common mode chokes and at Future Electronics we stock many of the most common types categorized by case size / dimension, impedance, rated current, maximum DC resistance, packaging type and rated voltage. The parametric filters on our website can help refine your search results depending on the required specifications. The most common sizes for rated voltage are 50 V, 250 V and 500 V. We also carry common mode chokes with rated voltage as high as 250 kV. Rated current can be between 0.4 mA and 23 A, with the most frequent common mode chokes having a rated current of 500 mA, 1A or 2 A.
USB line for PCs and peripheral equipment. Prisource provide our customers with solutions to meet their individual requirements, manufactured and type tested to any standard and specification. All products are designed to meet the strictest safety standards throughout the world, such as UL, CCC, etc. Note: 1.Inductance drop less than 10% at DC rated current.；2. Inductance measure at 10KHz 0.3V.；3. Temperature rise less than 40℃ at rated current. cymbal choke is a drum stroke which consists of striking a cymbal with a drum stick. Note: Thermal class：A (105°C)；Withstand voltage：2000 VAC between windings；Testing condition：1 KHz　0.3V；Temperature rise：40°C MAX.